Scholarship Description: The Groningen Research Institute of Pharmacy of the Faculty of Science and Engineering is now accepting applications for Ph.D. position for a talented and motivated national or international student. Candidates are invited to write and develop their own research project within the scope of the proposed topic given. 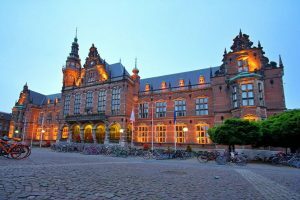 About University: The University of Groningen offers a wide variety of interesting, highly regarded degree programmes that rank well internationally. As our student, you will receive high-quality supervision and have many programmes to choose from. As an exceptionally motivated and talented student, you could join our Honours College for an extra challenge. Available Subject: Research Topic: Due to successful public health measures and treatments, cardiovascular mortality has been greatly reduced in high-income countries. Clearly, patients with the established cardiovascular disease are at an increased risk for disease progression; however, patients differ in characteristics, (time to) disease progression or treatment response. During this PhD you will jointly use omics (genomics, and metabolomics) data and electronic healthcare record (EHR) data to 1) to classify patients at high risk for early cardiovascular disease progression, 2) identify markers for treatment response and 3) perform disease sub-phenotyping. Depending on the candidate’s preference further possibilities include the evaluating and/or development of big data analytics. Scholarship Benefits: The Ph.D. student will be enrolled in the Ph.D. Scholarship Programme and receive a scholarship of € 2,027 per month (gross) from the University of Groningen for a period of 4 years. Eligible Nationalities: National well as international students are eligible to apply for this position. Application Procedure: Please upload your complete application in English as a single PDF-file until 20 November 23:59h / before 21 November 2017 Dutch local time. Please upload your entire application as “letter of motivation” by means of the application form.